Crucial to any project's success is effective project management. Our services continue through project initiation, planning and scheduling, execution, control and closeout. We can help your team manage a project, whether it is an existing site or just a renovation, new facility construction or launching a new product. 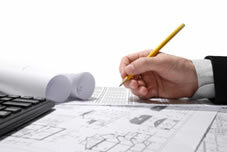 We strive to find project solutions that better suit the needs of owners and users. When you engage us on a project, our goal is to manage it effectively and deliver the desired results aligning our incentives with yours. 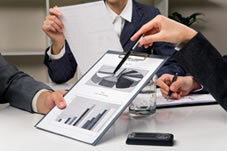 By identifying, justifying and prioritizing necessary expenditures, we help optimize your capital investments. This value-engineering carries through the project planning and execution phases, avoiding surprises once deployed. AABETARK CONSULTING can support you in the design, evaluation and execution of plans or play an equally vital role in later stages, assuring that your projects meet schedule and budget goals. Market Globalization has empowered new communities in the U.S. to find their own answers and solutions. However, integration is a thorny issue when dealing with more specialized projects and their specific regulations. Our specialists are able to deal with different technologies, multicultural backgrounds and aggressive timelines. We can optimize your current procedures and applications to conform with your ultimate priorities. AABETARK PROJECT MANAGEMENT SERVICE is based on three major values, which are Speed, Quality and Accountability. We want lasting business relationships with our clients. We generally charge $60 and $80 per hour depending on the complexity of your project and the length and number of hours per week you’ll need our services. For further information regarding our services, please feel free to e-mail us at info@aabetark.com or download, print, fill out and fax back our Estimate - Quote Request Form. Note: AABETARK specialists in Project Management are particularly skilled in Optimization, Automation and Industrial Process Control, Environmental Impact, Integral Security and Total Quality Project Management. For further information on these topics please send an e-mail to Mr. Maurice Capdevila at mcapdevila@aabetark.com (Spanish/English).